Cool! 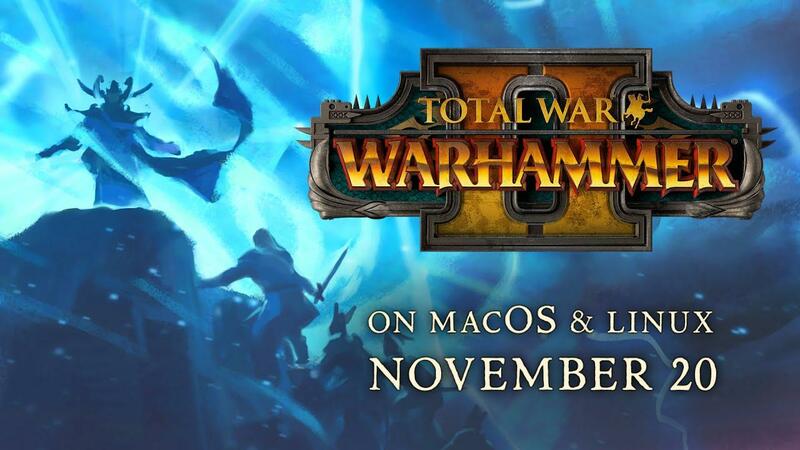 Which Total War game will they work on next? Kimyrielle Cool! Which Total War game will they work on next? This seems like a good time to release it too, considering CA have now finally finished the game, with what looks like their last major DLC. Also with Vulkan this should be a smoooth ride. When i look at those Requirements i'm getting sad. This is a nice birthday gift! My wallet is ready for this game . Hey, if you give it to me I'll spend every penny I would have spent on the base game with DLCs instead, possibly even more money, I promise! Feral won't be earning less due to that giveaway, what about that? Guest I'm not a TW enthusiast but I'm going to buy it anyway. I already have a nice collection of all TW games released for Linux and the first Warhammer was fun. If this is even better I will gladly start a new campaign here with Vulkan being my dark power against the enemy. Nice to know! Want to add me on Steam? It's patolinux. Since it doesn't have cross-platform gameplay, getting to know Linux people for multiplayer is important.